While many Americans understand the importance of preparing for emergencies, FEMA estimates roughly half have not discussed or developed a family emergency plan. 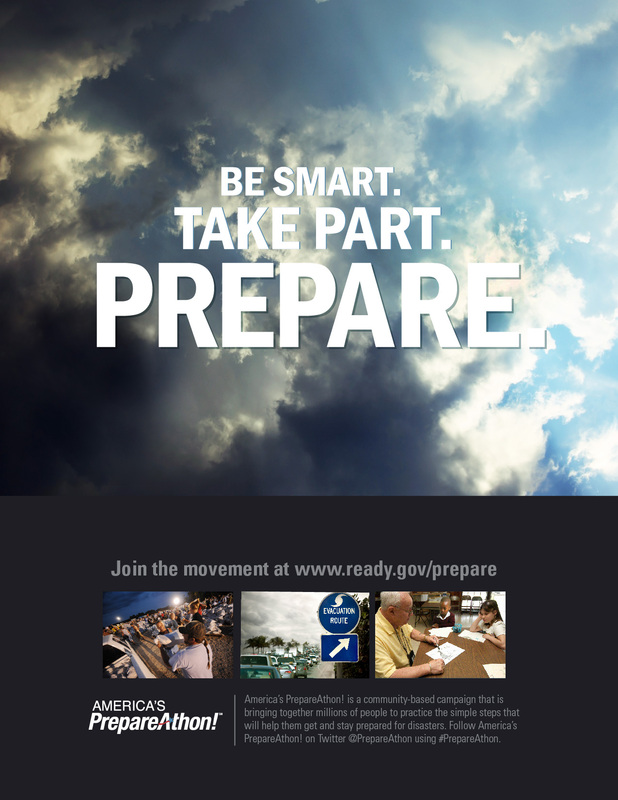 During national preparedness month, FEMA is urging everyone to be smart, take part and prepare. National PrepareAthon! Day is set for Wednesday, Sept. 30. It's a call for individuals, organizations and communities to prepare for specific hazards through drills, group discussions and exercises. The goals are to help individuals understand which disasters could happen in their communities, know what to do to be safe and mitigate damage, take action to increase preparedness and participate in community resilience planning. FEMA states that, so far, more than 13 million Americans have registered to participate. View the poster for additional information.